At EPS, we place a great emphasis on our people and their potential within the firm. As one of the premier recruitment agencies in Singapore, every individual matters to us. In addition to our attractive remuneration package, we provide high quality training to ensure that you will get a well-rounded perspective of the recruitment market and what we do as a business. We recruit highly motivated individuals who are passionate about their work and maintaining the tradition of excellence at EPS. At EPS, we want to maintain our culture of business excellence and corporate development. 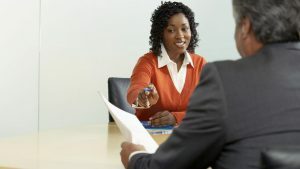 Successful candidates will be invited for an interview where will can get to know you better and understand your personal interests and strengths. We will inform you of the results of your application through email or phone. We recruit throughout the year and have no moratorium in force on application windows. At EPS, we believe that internships are an integral part of talent attraction. We work in conjunction with SPRING Singapore to provide attractive remuneration packages and an excellent structured training program. The EPS Student internship programme typically spans a period of 10-weeks to 3 months. We aim to attract high calibre students who would like to have unparalleled opportunities to work alongside with experienced consultants to develop business skills, put into practice what you have learnt at university and also give you exposure to what working life is like at EPS. Don’t miss out on this great opportunity! EPS is open to all students from all disciplines of study with strong academic results and CCA achievements. We place a particular premium on individuals with strong business acumen and who are particularly interested in the recruitment market. At EPS, we believe that internships are an integral part of talent attraction. EPS Student internship programme spans typically a period of 10-weeks to 3 months, we aim to attract high calibre students who would like to have unparalleled opportunities to work alongside with experienced consultants to develop skills and qualities, put into practice what you have learnt at university and also give you exposure to what working life is like at EPS. For interested applicants, please email your resume to info@eps.com.sg . If you are shortlisted, you are invited to attend an interview. The interview session is a great opportunity for you to know more about us and what we are doing at EPS, it is also a platform for us to get to know more about your potential and strengths. EPS will inform you the results of your interview via email/phone.